When the devastating 7.0 magnitude earthquake struck the island and people of Haiti on January 12, 2010, it was quickly apparent that the clean-up and re-building efforts were going to be a long-term jobs and require help from beyond the shores of the tiny island nation. Recognizing a great need for help, Georges Laraque and the National Hockey League Players' Association (NHLPA) teamed up with World Vision Canada to raise funds for the re-construction of the Grace Children's Hospital in the capital city of Port-au-Prince, a project that has been on-going for over a year now. 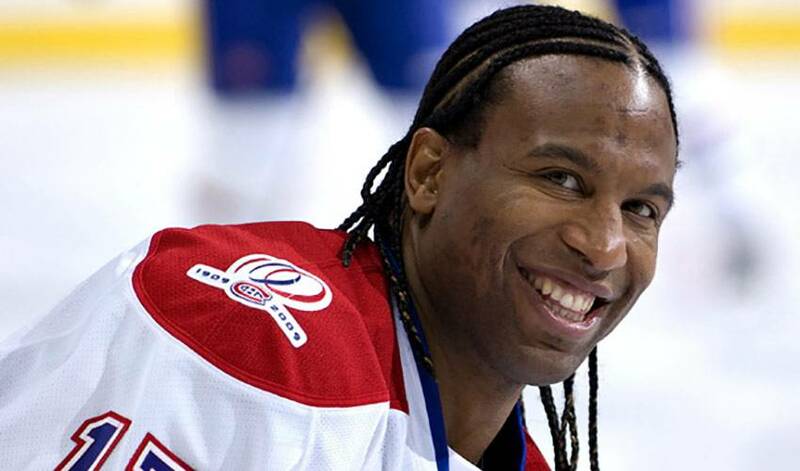 In a follow-up to an initial trip to the island by Laraque, NHLPA Member Dan Hamhuis and NHLPA staff members in June of 2010 to announce that $1-million had been raised (the total is now over $1.3M), Laraque has once again embarked on a trip to the Caribbean island nation. Joining Georges on this trip representing the NHLPA is Montreal Canadiens defenceman, P.K. Subban. The energetic and effervescent young player is someone who values the work being done by World Vision and the NHLPA on the Hockey for Haiti project and was eager to participate and help-out, any way he could. Laraque and Subban will spend a few days in Port-au-Prince and on Wednesday they will visit the Grace Children's hospital to meet with patients, staff and to tour the hospital to see first-hand the progress being made through the donations to Hockey for Haiti. The efforts to re-build the Grace Children's Hospital are crucial, as the hospital serves as a leading treatment centre for children with HIV, tuberculosis (TB) and other respiratory illnesses. The services of the hospital have been made even more critical since the earthquake, as tuberculosis spreads through prolonged exposure in close quarters, such as the tent camps where many Haitian families took refuge following the devastating quake. Laraque and Subban will be arriving in Port-au-Prince on Monday afternoon and remaining in the country on this humanitarian and charitable visit until midday on Thursday.